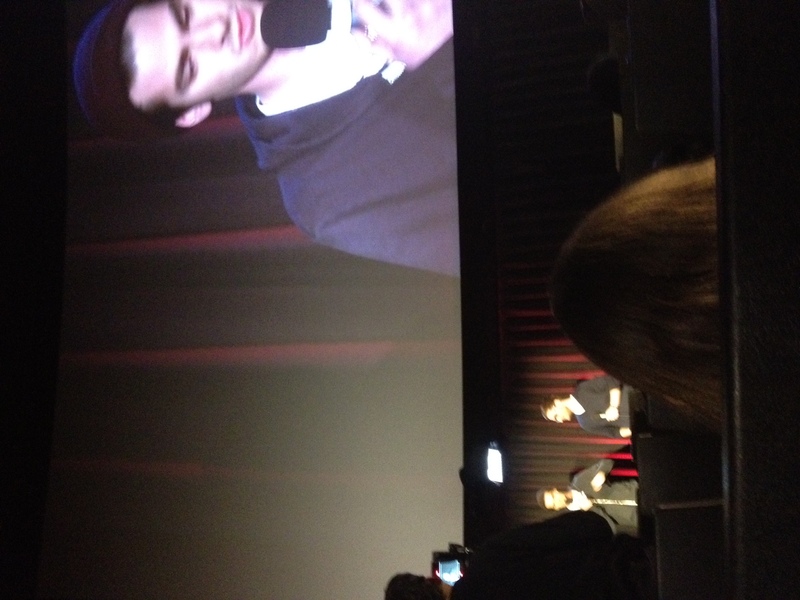 Our movie reviewing Smuggler, Lavanya Narasimhan, is back with the scoop on The Amazing Spiderman Sneak Peek Fan Event. Give it up for Lavanya, folks! A few days ago, my friend invited me to go to a “sneak peak” preview of The Amazing Spiderman, the reboot of the franchise directed by Marc Webb, starring Andrew Garfrield and Emma Stone. 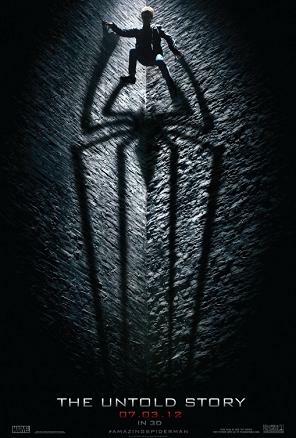 As somone who loathed Spiderman 3, I’ve been pretty excited about the reboot, not least because it’s from the director of 500 Days of Summer. So I agreed to go, thinking it’d be an extended trailer, or perhaps something like the prologue screening of The Dark Knight Rises. So boy was I surprised when we got there and it was a full-on event, with free popcorn and soda for everyone and MTV’s Josh Horowitz as emcee. It turned out to be a worldwide event, being held in theatres around the country. And on a screen that live-casted the theaters from other cities, we saw Marc Webb in LA, Emma Stone in Rio de Janiero, villian Rhys Ifans in London… and then right in front of us came Spidey himself, Andrew Garfield. The crowd went willd (especially when there was mention of NYC being Superbowl Champions)–someone even screamed “Hallelujah”, to which Andrew replied, “Hallelujah. You said exactly what’s on my mind.” The cast and crew went on to answer a few questions about their roles, and then we got to see the new trailer followed by about ten minutes of new footage. From what I’ve read, The Amazing Spiderman is considered a risk; it’s a reboot of a huge franchise with relatively new talent in a genre that some would say is already oversaturated and everyone wants an Ironman, no one wants Green Lantern. Also considering it’s up against super-superhero movies The Avengers and The Dark Knight Rises this summer, I can see why they’re trying to get a head-start on their marketing campaign. The scenes we saw showed that this Spiderman is not only in high school, but he’s a little quippier, a little more glib and funny that Tobey Maguire’s sad-eyed hero. It also seemed to rely heavily on the romance between Peter Parker and Gwen Stacy, whom Emma Stone described as the yin to Mary Jane’s yang. The main difference, Stone said, was that Mary Jane was in love with Spiderman, and Gwen Stacy is in love with Peter Parker. It also rewrites the origin story from the Raimi’s first Spiderman movie; searching for clues to his parents’ disappearance, he encounters Dr. Connors aka the Lizard, aka the Big Bad. Another source of tension is Spiderman’s status as a vigilante, which particularly doesn’t sit with well Police Chief George Stacy, who just happens to be Spidey’s girlfriend’s dad. Awkward family dinners ensue. We got to see a lot of unfinished footage, but what I did see looked really fun and exciting. Straying away from the hyper-realism of The Dark Knight, and the sentimentality of the first franchise, The Amazing Spiderman looks a little more concerned with how the mask affects the man behind it. It’ got a great cast,including Martin Sheen and Sally Fields as Uncle Ben and Aunt Mae, and seems fresh and fun. You’ll see me in theaters on July 3rd. I LOVE the new trailer! I can’t wait for the movie now.